When imaging a hard drive you create a compressed file of your Operating System or Drive — all of the files needed to run Windows, plus anything you have saved on your hard drive, will be contained within the image, which is usually saved as an ISO file. Because such images are compressed, you can save multiple images to a single hard drive providing you have ample space. An image also means you can make not only a full but also incremental and differential backups to better keep your data safe over a long period of time. What’s the difference between these types of images? A full image backs up everything on the drive and is required if you want to restore your system at some point. Differential images just record any changes made since the full image was created, so restoring a system requires the full image and the most recent differential image. Incremental images record any changes made since the last incremental image. If you wanted to restore the image, you would need the full image and every incremental image that was created afterwards. As opposed to drive imaging, where you create a compressed version of a drive that can be restored later, cloning creates an exact replica — boot records, files, settings and themes — that can be used immediately as a drive in case of an emergency. This cloned drive is an exact copy in every way – specifically the size – and you can either keep it as a backup or use it when you need to be up and running quickly. 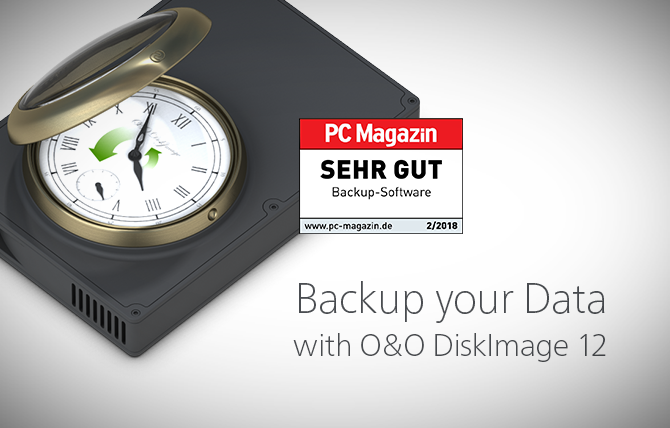 Should the backup need to be created on a regular basis then we recommend the hard drive image. This takes up less space and allows for the creation of incremental and differential images afterwards. If however you need a bootable spare drive in order to be up and running quickly after a crash and to reduce downtime then we recommend a clone or duplicate. A combination of the two has proven over time to be the best practice: a regular hard drive image for the daily data, then supplemented by a clone of the system drive in order to be up and running quickly in an emergency. You can read more here.